The Denon AVR-X2500H, available in Winnipeg at Creative Audio, supports Dolby Atmos, DTS:X and DTS Virtual:X, plus the latest video technologies such as Dolby Vision, HDR, HLG and 4K video upscaling. It features 8 HDMI inputs and 2 outputs with HDCP 2.2 on all HDMI ports. Stream Spotify, Pandora, Tidal and more with HEOS multi-room wireless technology, play music in multiple rooms and control it all with your voice through Amazon Alexa compatibility. Ideal for custom integrations, the Denon AVR-X2500H is the entertainment centerpiece to help you build your perfect home theater. With more than 100 years of audio excellence at Denon, true audio-enthusiasts are guaranteed the best quality sound. 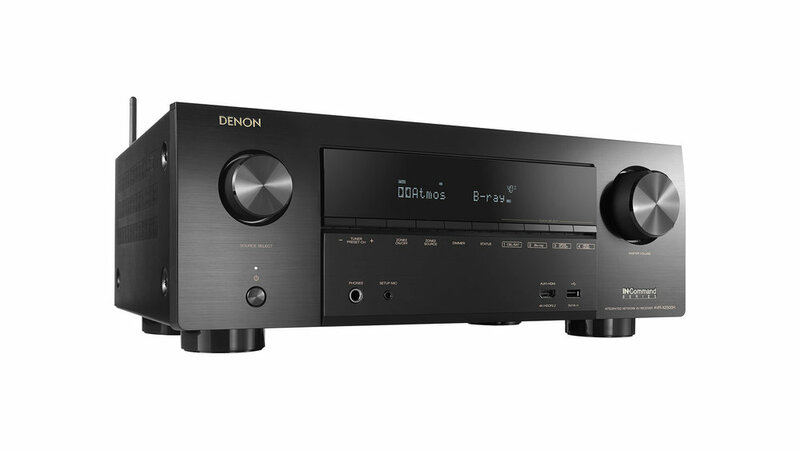 Are you interested in the Denon AVR-X2500H? Thank you for your interest in the Denon AVR-X2500H! One of our team will be in touch with you very soon.